NEW ORLEANS – Against Miami, it was the battle of the Smiths. Edge: Antowain. Then came the Raiders. And the battle of Browns. Edge: Troy (his side won). Next came Pittsburgh and the Battle of the Bills. Edge: Belichick. Now, it’s the Super Bowl. And the battle of the Faulks. Marshall versus Kevin. Plain and simple, if the former LSU Tiger wins this battle, Bob Kraft will be handed a Vince from Paul Tagliabue. And you can bank this. Fellow Louisiana lad Marshall was the 2000 NFL MVP. He is widely regarded as the best player in the NFL. He is someone that most experts think the Patriots simply cannot defend. Unfortunately, if the Patriots are to entertain any chances of winning Super Bowl XXXVI, those chances begin and end with Faulk. 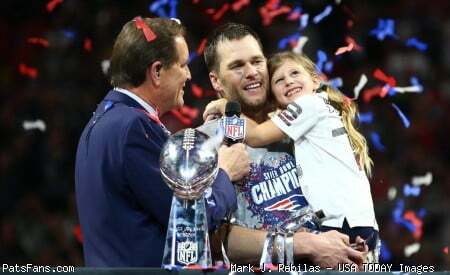 The Patriots were looking forward to getting rid of the Indianapolis Colts from the AFC Easy going into this year. But after winning their first two games going away, the Colts ran into a buzz saw in Foxborough. The Patriots manhandled the Colts, 44-13, then David Patten put on the show of shows three weeks later in the RCA Dome, leading the Pats to a 38-17 win. Holding Indianapolis to only 30 points in the two games despite having to deal with Peyton Manning, Marvin Harrison, and a buff running back named Edgerrin James was a feather in the cap of Bill Belichick and Romeo Crennel. The Patriots wound up cursing fate for losing the two Colt games on their schedule. How would New England have done if Indianapolis still had Faulk? Would they look forward to realignment even more? Or less? The Patriots were 8-2 against Indianapolis teams that had Faulk. You go figure. A good answer might be “who cares?” You can’t say that Indianapolis is worse for the wear with James instead of Faulk, unless you factor injuries into the equation. James is perhaps the best running back in the AFC, but Faulk is the best in the league. If nothing else, Faulk is the more complete package than James. But the real reason that the comparison is moot is because of the teams that surround each player. Whatever it is that Indianapolis does great on offense, St. Louis merely does it better. Kurt Warner is a better quarterback, the Ram receiving corps is deeper, the offensive line is better, and the defense wipes the Colt squad off the face of the map. But Faulk still factors very heavily into the Ram equation. When Faulk left the Colts after the 1998 season, he left a squad that seemed to squander and misuse his talents. Faulk rushed for 1,000 yards or more in four of his five seasons in Indianapolis. But Faulk was limited in his talents, and was exposed as a lousy blocking back when asked to pick up blitzing linebackers. Meanwhile, the Rams were a destitute team in 1998. They went 4-12 (one of those four wins was a 32-18 decision against a flat, soft and Drew-less Patriot team), and their leading rusher that season was June Henley. Henley will never be known as a great running back, but his claim to fame was the fact that as a youth in Columbus, Ohio, his family took in this young man whose mother had just been murdered and whose relatives didn’t seem to want him. The young man’s name? Terry Glenn. Henley and Glenn attended Ohio State, and both wound up in the NFL. Henley’s only NFL season was that 1998 campaign, in which he led the Rams with 313 yards rushing. Glenn needs the Henley family again, as he followed a terrific 1996 rookie season with a slew of injuries, suspensions, appeals, lawsuits, and brushes with the law. Both Faulk and Warner came to the Rams in 1999. The two paid immediate dividends, as Warner was the Tom Brady of that season, so called. Coming into the NFL via a HyVee store, Northern Iowa University and Arena football, Warner morphed overnight into the greatest thing the NFL has seen since Joe Montana. With Faulk in the backfield to keep defenses from overplaying Warner, Isaac Bruce, Torry Holt and all those greyhound wideouts, the Rams marched all the way to a Vince that year. When Warner went down with his injury in 2000, the Rams fell out of Super Bowl contention. They did make the playoffs, but lost in a Wild Card match here in New Orleans. Faulk rushed for 1,359 yards and a 5.2-yard average. Football experts pointed at Warner’s injury as the downfall for the 2000 Rams, and elevated Warner to even higher heights than the previous year. Now in 2001, Warner is back up there as NFL MVP. The Ram offense is back in high gear again, and is one win away from their second Vince in three years. But lots of folks think that Faulk got jobbed in the voting this year for MVP. And many more think that he, and not Warner, is the real key for the Patriots to pull off the mother off all upsets on Sunday. Faulk can kill you wish rushing and pass receiving. He has 2,149 all-purpose yards in 2001, and averaged 9.2 yards per pass reception. But Faulk’s biggest contribution to the team is what he does to opposing defensive coordinators who try and game plan to stop the Rams. Faulk makes it impossible to overplay either the pass or the run. Bring up eight men and Warner slices up the secondary. Play dime packages and Faulk eats up ground underneath. During the regular season meeting between the Patriots and the Rams, Faulk provided more concrete evidence that he is the key to a Patriot win, and not Warner. Our esteemed colleague, Ian Logue, provided a great analysis earlier this week of how the Patriots can beat the Rams. In his piece, he mentioned Faulk’s role in the 24-17 Ram win on November 18th, and the way that game ended. Warner won the stat battle with 401 passing yards, but it was 24-17 Rams with 7:46 left in the game. The Patriots had just scored on a 10-yard pass from Brady to David Patten. The Rams took over on their own 28, and the Patriots needed to get a defensive stop here. The Patriots still had two timeouts left, but with that much time left in the game, burning timeouts was not yet an issue. Faulk began the drive with carries of seven and four yards. On second and nine, Faulk ran for two yards, then caught a nifty pass in the right flat for 18 yards. 7:46 was now 4:53, and the Patriots had surrendered 32 yards of field position when a three-and-out was badly needed. Faulk got the ball on the next three plays. Those plays totaled 16 yards. We’re now at the Patriot 24, and 2:40 left in the game. What was supposed to be a defensive stop was now the inevitability of a loss, with Jeff Wilkins guaranteed an easy field goal attempt at the very least to make it a two-score game. Warner fumbled on the next play and lost six yards. But he then hooked up with Holt for 12 yards. And on third and four, Faulk ran up the gut for six yards. The Rams were now at the Patriot 18, and out of timeouts. And few people noticed that 7:46 had now become the two-minute warning. Yikes. The Rams had run eleven plays, and Faulk had touches in eight of them. Warner then took three kneel downs and the game was over. Instead of the Patriots getting the ball back right away with about six minutes left, the game was over and the Rams had chewed up the final 7:46 with the Patriots never getting one last chance to tie the game. If you want to look at the one key play on this drive, it was the 18-yard toss in the right flat to Faulk. It took the Rams into Patriot territory, but it underscored the Patriots’ inability to put the clamps on Faulk when they had to. With the game in the balance, Warner didn’t go to Bruce or to Holt. He went to Faulk. Containing Faulk has to be job one for Belichick on Sunday. It may be at the expense of huge numbers by Warner, Bruce, Holt, or whoever else catches passes for the Rams. But Faulk will eat up clock, and will get you those tough yards in the red zone that other AFC teams had been finding so hard to do this year. The common thinking is getting someone to shadow Faulk, possibly Tedi Bruschi or Lawyer Milloy. The Patriots simply cannot allow Faulk to eat up yardage and clock like he did in November. But stopping Faulk is perhaps somewhat akin to trying to hit a Pedro Martinez changeup after he just blew a 95-mph heater by you. Faulk presents the most daunting challenge of all to Belichick and the Patriots. Faulk has been the true MVP of the Rams this year. Our recent poll showed that three-quarters of our readers fear Faulk more than any other Ram. He was great in Indianapolis, but he has become a legend in the Gateway to the West. The battle of the Faulks has the Bayou State written all over it. Marshall is from The N-O. Kevin is from Carencro and was a real Tiger up in Baton Rouge. But if the Patriots have been pretty good at winning surname battles, this is one battle that they simply must win. Kevin won’t beat Marshall in raw numbers. The team they play for will have to be the barometer. And if it’s St. Louis who claims the Vince, you can bet it was likely because of Marshall. This entry was posted in Uncategorized on February 1, 2002 by Bob George.